Our sister company, Dare To Taste LLC, is available for catering and private events. Contact page can be found on the website www.DareToTaste.com, or please call the catering office at 617-337-5910.
Who wants to come to our dinner party? 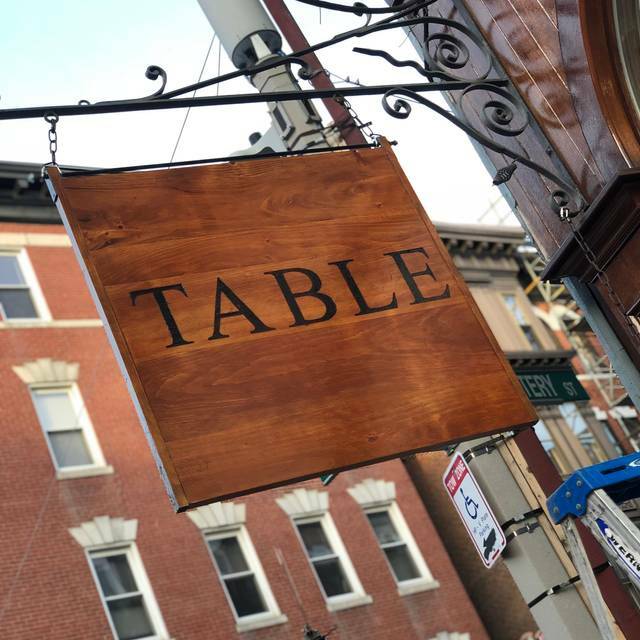 Unlike any other restaurant in the city, TABLE offers an intimate dining experience different from everything else the neighborhood. TABLE offers nightly seatings Thursday thru Saturday (and Sunday brunch) for both small and larger groups. 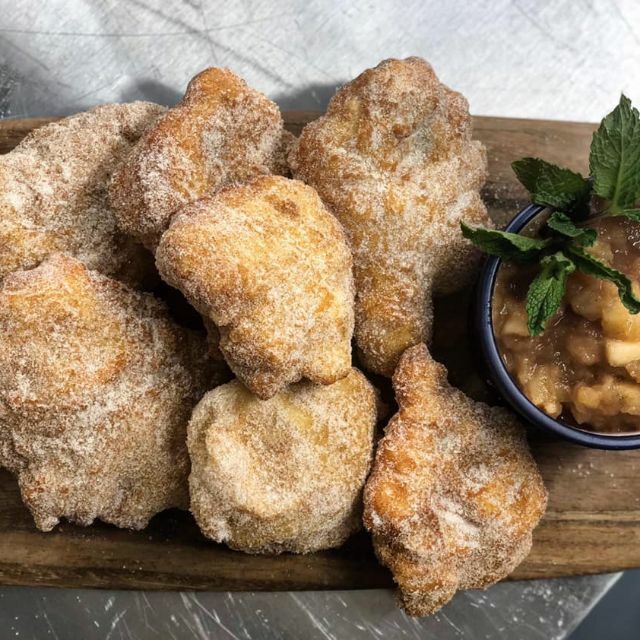 You'll dine at our custom-made tables and enjoy NINE COURSES of classic Italian dishes from a revolving menu with fresh focaccia bread and homemade cheese to start. Food brings people together! So come with your significant other, a group, or come alone. Either way, you'll make friends. We promise! What a meal! Last minute they decided to do a pre Boston Marathon pasta dinner. It was all you could eat salad bread and pastas. Started off with cheesy bread garlic breads and normal bread with a pesto and Parmesan dip. Followed by a Caesar salad with big chunks of Parmesan and a homemade Caesar dressing. The pasta then followed with a fettuccine alfredo, a gnocchi Bolognese, meatballs, and finally a short rib fusilli. All pasta homemade that day. What an amazing meal! I'm not a big lover of pasta and I was floored! What a great way to eat before the Boston Marathon! Wish we lived in town and could come here on a normal night. I then asked if there would be dessert lol and last minute she made homemade donuts with Nutella filling and a jam compote. Wow wow wow! This place is rated highly for a reason! This is not just a "top ten" brunch spot. This was THE BEST brunch we have ever had. Food is ridiculously good - wholesome, delicious, abundant, paced perfectly, and satisfying to the last bite. Not a soft spot in the lineup. 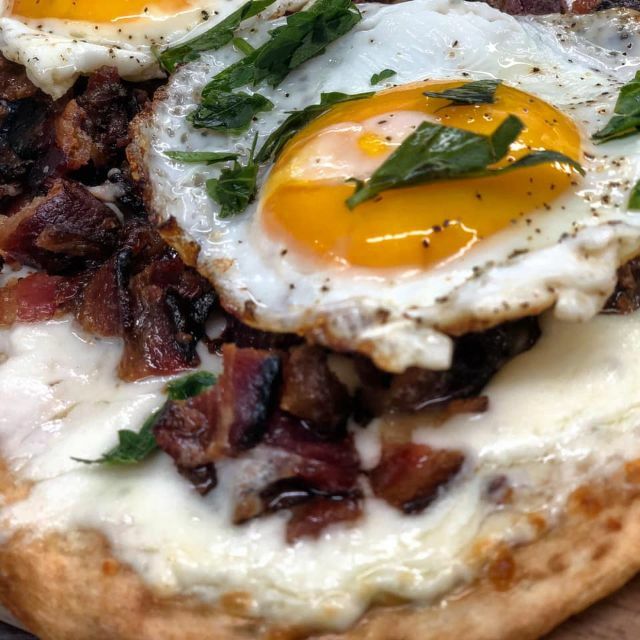 Fried dough with warm apple compote leads off, followed by a breakfast flatbread perfectly topped with runny eggs. You will want seconds and may even brave another slice, but there is so much more to come. The omelet taco sits in the three-hole and is in no danger of being moved down in the order. The combination of italian sausage, pico de gallo, egg, cilamtro, and cheddar in a warm taco resulted in fireworks straight out of Remy's strawberry and cheese scene from Ratatouille. Sweet greens in the cleanup spot was just the respite we needed, and they paved the way for the parmesan-dusted truffle fries. Not a single shard was left in the basket at our table, even with the chicken and waffle finale on deck. And the finale did not disappoint. 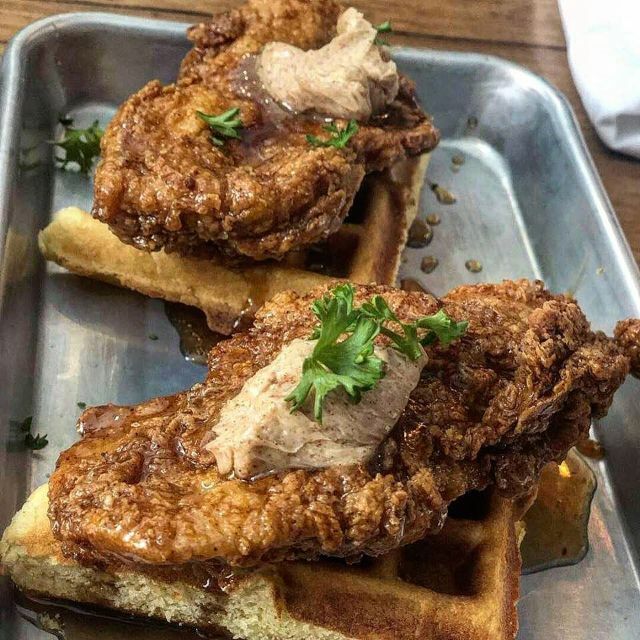 What might be your entire brunch entree at other restaurants -- buttermilk-fried boneless fried chicken atop a belgian waffle with cinnamon butter and warm maple syrup -- here stands as the finishing touch on a flawless meal. If the food itself were not enough to invite you inside Table (and it should be! ), the combination of impeccable service (shout-out to Meaghan - you rock!) and the warm hospitality of the owner/chef, Jen, make it feel like you are guests at a friend's house rather than patrons at a restaurant. Amazing food and well worth the price! My one complaint would be there was no non-dairy milk options (I.e. Almond or Soy for the coffee). With 32 people in a smaller space it can be loud too. But! Everything else was a 10/10! I give it a solid A! Thanks to this review we have added ALMOND MILK to our coffee bar!! Thank you!! So sorry for the inconvenience. My wife, sister, and I dined at Table in February and it was outstanding. 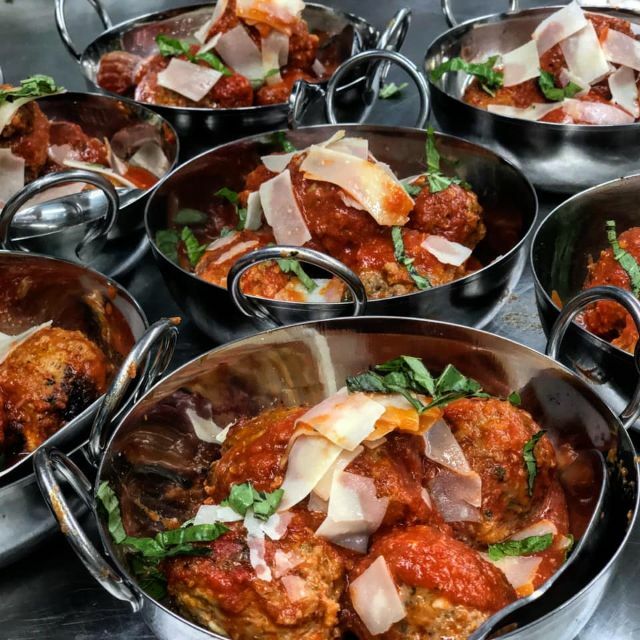 The food and the experience was very much what it was like growing up in a large Italian family in the North End...simply awesome, an experience I wish everyone could have. The three of us did the brunch on Palm Sunday at it too was outstanding. Six courses for brunch is crazy...crazy good. Each course leaves you with anticipation for the next one, and even though you're stuffed, you always manage to find room. The worst part about dining at Table is the leaving part. It's like when you go to a family party with aunts, uncles, and cousins that you haven't seen in a while so the goodbyes take forever because you've had so much fun and don't want to leave. The waitstaff is warm and inviting and they go all out to make sure every single person is completely satisfied. They embody Jen's passion for her restaurant. Jen is an amazing chef and her warm and caring personality just draws you in. I've been there twice and I feel like I've known her for years. I can't wait to go back. Lots of bread and lots of noise. Best situated for a large group rather than parties of two or three. This place is absolutely incredible!!!! Jen, Tim and Victoria were all amazing, and the food was possibly the best we have had anywhere in Boston. A must go! A+ experience. The staff was excellent and helpful at all times. The food was delicious; the time and effort that went into preparing the menu and the food was evident in every course. The handling of a food allergy was done very well. Will recommend Table to friends and family who visit. Will definitely dine there again. Words cannot adequately describe Table Boston. It truly is an experience that everyone needs to try. From the minute I walked in to the minute I left, I felt like I was home. First of all, Chef/Owner Jen is such an amazing chef. The food was incredible . I have never eaten so well in my life ( don’t tell my 100% Italian mother that I said that) From the first course, to the last, my tastebuds were overwhelmed with such beautiful and exquisite flavors. The love that Jen puts into every dish is so obvious. She is an artist in the kitchen. I could write 1000 more words and I still wouldn’t have enough left to describe Jen’s food. Second of all, Jen is such a sweetheart and truly makes you feel like you are eating at her home. She is so welcoming and so full of cheer that you immediately feel like your eating with your family. In my case, it was more fun than eating with my family. Hahaha! 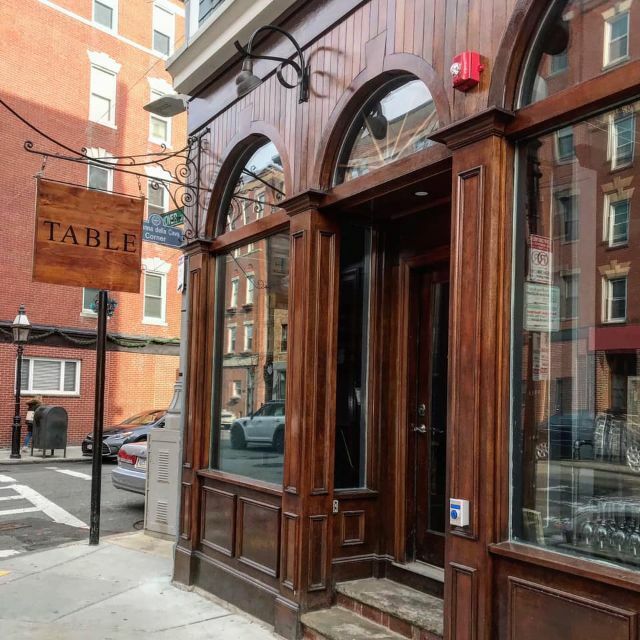 Table Boston is definitely worth a visit. Go ASAP. You will be so glad you did. I can’t wait to return. If I could give 6 stars, I would. Course after course was amazing. Did I mention the playlist? You walk in strangers and leave as friends. The food just kept coming. Every course carefully curated and just when you thought you couldn’t eat more, to quote a table mate “Screw it, I’m going for it.” Jen and her staff are the people you just want to keep going to see as well as have that nightcap or six with at the end of the night. If you have a chance definitely go see Jen and enjoy her fantastic cooking. Great concept and great family style dining where you will enjoy meeting new people and leave full and having made new friends. Food over the top fantastic! Highly recommend, we can't wait to go back for brunch! Dinner was a culinary adventure of 9 courses, each complimenting the previous. Delicious! We went to TABLE 4/3/2019 and it was one of the greatest dinner experiences. Leaving the restaurant we said to each other we cannot find one thing that was not perfect. It is an amazing concept with great service and even better food. We cannot believe how much fun we had with complete strangers. The food from start to finish was impeccable. It was great portion sizes and spaced out with enough time to digest and fully enjoy the next course. Everything was homemade, fresh, and you could taste the love poured into every dish. No matter how full you may be, you cannot leave without eating the Zeppolis at the end for dessert…UNREAL. Overall, everyone needs to go try this new place. Any speculation you may have about the concept will be completely proven wrong. Jen is amazing; we cannot wait to come again! Outstanding Italian food! Felt like I was back home eating my mom’s Italian cooking! Wonderful food and atmosphere today at Brunch! Service was exceptional. The chef took the time to come out and greet everyone (with hugs). Her passion for food came through with every bite. Can not wait to come back for dinner! Table seems to still be working out the kinks. To successfully achieve the traditional Italian dining experience they are going for, they really should have secured a liquor license prior to opening. Wine pairings would have made this experience more enjoyable and authentic. The courses could have been better paced as well. Food was good but the experience felt rushed to eat and move to next course. It would have been great to have more time to enjoy the food and conversation. Toward the end it was obvious the kitchen and the servers were rushing to finish within the two hour seating window. To top it off, the chef rushed over before the meal was over carrying a bag of trash right through the restaurant! Thank you so much for coming in! I'm so sorry we didn't have wine for you, but the city doesn't have any licenses and may not anytime soon, which is bonkers! Waiting to open was not an option while paying rent. But we won't WHINE about it. See what we did there? And that was NOT trash. Eww. We would never take the trash out while guests are dining. Those were new napkins we had just washed downstairs that were en route to the ironing board. Trash is gross. New napkins are awesome. Unbelievable food, tremendous service, will definitely be returning. Don’t even think twice just go! Food was second to none and the whole experience is great. Table was an completely unique dining experience that provides a "family style" atmosphere. In today's day and age, it's hard to go anywhere without seeing people glued to their phones or electronic devices...in our experience at Table, that was completely eliminated. It was extremely refreshing to spend genuine time with the group we attended dinner with, along with the other dinner parties. The atmosphere is very welcoming and really promotes interacting with other dinner guests as a whole. On top of the wonderful atmosphere, the food itself was amazing! The set menu, Italian style multiple course meal provided multiple options to choose, while also getting to try a little bit of everything. The portions were large enough to satisfy everyone, while still allowing for some leftovers to take home. For the quality and amount of food, it is a GREAT value! And last but not least, Jen and her staff do an incredible job. The staff was friendly, engaging, and prompt, and were extremely accommodating to any type of food allergy. A bonus was getting to chat with Jen afterwards about her approach with the restaurant, and just life in general. She has done a fantastic job! Unique dining experience - delicious & wonderful food served family style - like dining at a friend's home! We came back for a second time - and we’ll be back again and again. Each time, we’ve not only been amazed by the food and thrilled with the service, we’ve also sat next to strangers and left as friends. We’ve never had a restaurant that provided us with a memorable meal and memories with new friends at the same time. Jen Royle is not only a gifted chef, she’s an extraordinary hostess and ambassador of food & friendship. What a fun way to enjoy an amazing meal! The family style concept is great & gives such a unique dimension to the evening! We left with new friends, wonderful memories and a full stomach. The minute the warm focaccia & spreads came to the table you knew you were in for a treat! It was like a symphony of food from the first course to the last - did I mention - 8 courses! If you go solo or with a group - go hungry and ready to meet new people! Buon Appetito! We had our first experience at Table and it was such a unique experience, food was amazing, Jen (owner) and her team were sensational. We read several reviews before going and they were all so positive we had high expectations that were definitely surpassed. We'll definitely be back many more times. What a great experience. My girlfriend and I loved everything about the restaurant from the food, the people, ambiance, decor, and service. If you’re looking for a unique dining experience where you know passion has gone into the cooking, I highly recommend trying TABLE before it becomes impossible to get a reservation (that good). Thanks for making my birthday dinner feel so special! Can’t wait to come back. Great food! Great service! Great people!! A fantastic night all around Jen!! THANK YOU!!! You should definitely come to Table. It's not just dinner, it's an experience. The chef is also amazing. You will love this place. Do yourself a favor and make a reservation ASAP and show up hungry. The food being served is fresh and flavorful and there’s lots of it. The staff is friendly and the service is superb! I can’t wait to go back. Table is more than a restaurant - it’s an experience. It’s an experience of feeling like you are at your friend’s house who you’ve known for years for a dinner party with some people you do know and some you don’t know yet. Your friend starts the evening by welcoming everyone to her home and explaining the concept and menu. She then cooks up a 9-course amazing Italian meal while her mom shuffles in with additional ingredients and the staff accommodate the guests. The food and company are so awesome that you’re not even concerned that there’s no wine or liquor. And if you are concerned, there’s a bar less than a block away you can hop over to in between courses. What Jen Royle has created is like nothing else I’ve heard of in Boston. I am torn between wanting to rave about it to everyone and not wanting to say anything so that it’s not a pain to ever get a reservation again. Table is superb! This was the the third time I've dined at Table and it continues to surpass my expectations. This is easily the best meal I've had in the city of Boston. Jen makes you feel right at home, but most importantly, she makes you feel like you're her best friend. 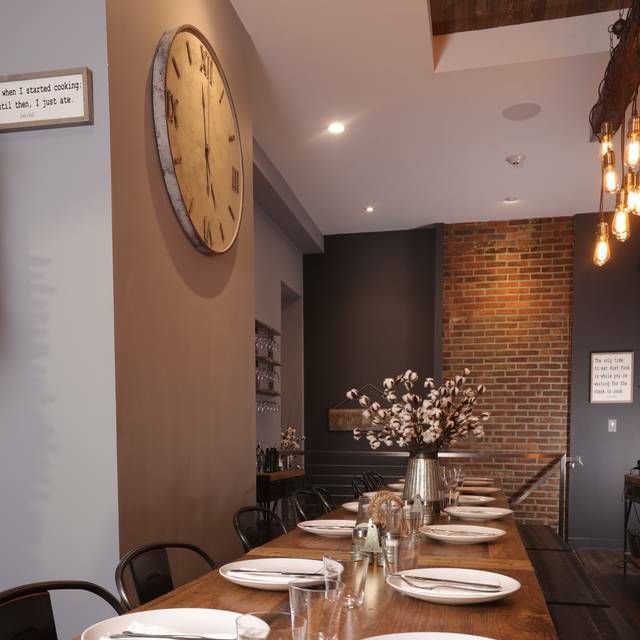 A warm, welcoming room: two columns of long, simple wood tables, steel and wood farm chairs, walls a dusky fog color, Edison-style bare bulb lighting. As the first seating guests arrived and settled in, warm focaccia, good olive oil and ricotta are placed on the tables. The chef then welcomes guests, sets the tone for what’s to come (family-style courses, enjoy the company of your table mates, and above all, pace yourself: there will be an abundance of food served) She goes over the menu for the evening, and the meal begins: large platters of each course: gnocchi Bolognese, Lemon caper shrimp, veal Marsala, arugula salad served “Milanese-style” over paillards of pork cutlet. 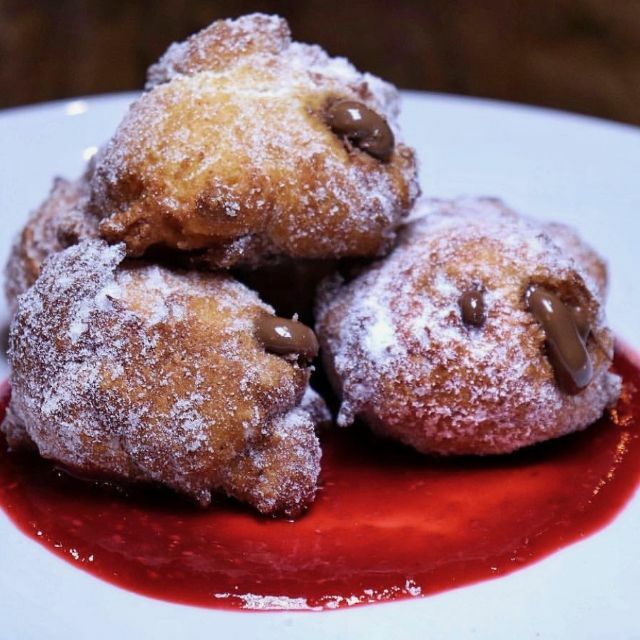 And, to gild the lily, Nutella-stuffed ricotta “donuts”. All fabulous. The only shortcoming of an otherwise perfect and fun evening: no liquor license yet. And: no BYOB allowed. Hope this final piece of the Table experience will ensure the Chef-owner’s business will survive as it deserves to - it’s a welcoming place, with a casual yet high level of service, amazing home style cooking, made just for you by a gracious, charismatic and talented chef. Get in here! My wife, mother in law, and I had a fabulous time. We’ll be back! Chef Jen hit it out if the park, absolutely loved everything- food was fantastic, great concept, meet some wonderful people!! Can’t wait to go back!!! A must!! You know when a new restaurant opens & all of the reviews are 5 stars, the sceptic comes out of me & says well maybe its the friends & family writing the reviews. So you give it a few weeks, but 5 star reviews keep coming out. Social media posts with amazing pictures and kind words too. So you google Table Boston, read the menu on the website, use their link to Open Table to make reservations, give the place a try on a very miserable cold snow to rain Sunday morning following losing an hours sleep and even with the time change you understand why all the 5 star reviews because after the six course brunch at Table Boston with the warmth of greeting from owner /chef Jen Royle one understands everyone is a friend and family after experiencing this gem on Hanover Street. There is a unique concept to dining at Table; true family style seating at long tables, a rustic Tuscan barn feeling that makes one become communal with your table companions. The menu is fixed with accommodations made for allergies. Today's brunch was six course starting with fried dough & apples, a delicious staple of Italian kitchens not often elevated in restaurants, flatbread pizza with chopped bacon, cheese and sunny side up eggs with just the perfect cook of runny yet not messy, truffle oil fries so good I could smell them in my seat when they hit the frier, new to the menu & sure to be a staple tacos with egg & sweet Italian sausage, arugula salad with mixed in roasted kale giving a terrific crunch & to cap the brunch chicken & waffles with apple butter. I wager these North'rn End produced chicken and waffles could rival the best the south has to offer. Spectacular food and a truly innovative dining experience. Owner/Chef Jen Royle should never have an empty seat. My wife and I loved everything offered. Do yourself a favor and go. trying to keep it hush so i can get back in there soon! Most people have never had a private chef before it's obvious that this is what Table is striving for...the experience. And isn't that what we want when we dine out for hundreds of dollars? You start in an intimate setting getting to know the people around you in a Thanksgiving-like table. Conversation naturally ensues as we each roll our eyes and heap praise on the 7-10 courses that are delivered and shared. By halfway through the dinner, the entire room is laughing, debating who can eat and extra bite for the team, and deciding who will take the first picture for their IG or Snapchat. 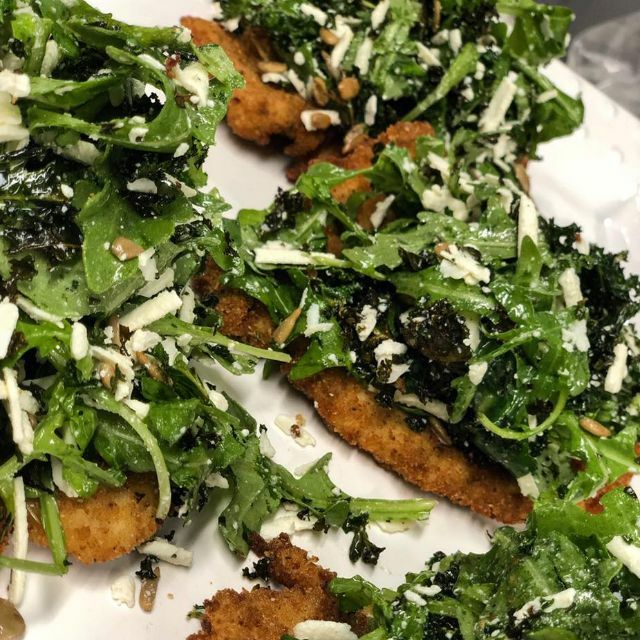 It doesn't hurt the the food is creative and well prepared and the host and owner, Jen Royle, is exceptionally welcoming and available. What amazing service start to finish. With spectacular FOOD!! Chef Royle is so talented and truly makes you feel like your eating a meal in her home. What a treat to meet her after spending a morning with 32 people eating her delicious delights. Boston should feel lucky to have Chef Royle in the North End. I loved it from beginning to end. If you enjoy a family style dinner this is the place to be, as you get to share tables with other guests. Food was fresh, enjoyable and beautifully presented. I tried Table for date night and it did not disappoint! I love everything about this restaurant! The concept is awesome and I left the dinner, friends with everyone. Jen comes out and explains the menu and really makes it a personal experience exactly like a family dinner. Plus, the food is to die for. I can’t choose my favorite dish because all of them tasted fantastic! I highly recommend this restaurant. I absolutely LOVED dinner at Table! I loved the environment, atmosphere, people and the food was AMAZING!! Who ever thought I would enjoy a salad with kale in it?? Even my husband liked it and is recommending it to people (and he is super picky). Jen came out and explained how everything was going to work - she was really nice and very approachable. She was willing to take a picture with us, but unfortunately the picture didn't some out :( Guess we will have to go back!! Thank you so much for an amazing experience! Great experience dining at Table! The food was delicious and the staff were great. Go experience a different kind of restaurant for yourself, you won’t regret it!